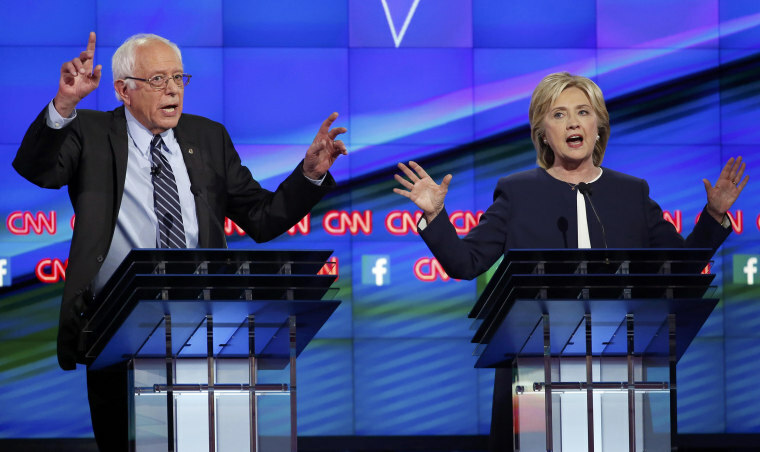 You can read our wrap-ups of the Democratic debate (and the Sanders/Clinton data breach truce - at least between the candidates) here, here and here. But POLITICO notes that the Clinton campaign is still antsy about the data breach. The Des Moines Register: "Iowans will have some political respite around Christmas: The nonstop presidential candidate blizzard is forecast to die down for three days straight." CRUZ: The New York Times notes that Cruz's tone is becoming more Trump-like. "In ways cosmetic and substantive, Mr. Cruz has in recent days seemed to more closely resemble the man he has been chasing — or, more precisely, quietly drafting behind — for months... Perhaps most notably, Mr. Cruz has sharpened his already uncompromising language, eager to retain his own hold on popular anger against the political class, and to demonstrate conservative purity amid attacks from Senator Marco Rubio over immigration and national security policies." He got pretty close to spoiling the new Star Wars movie for folks who haven't seen it yet. CLINTON: The Boston Globe has the details on her brief absence from the debate stage on Saturday night. PAUL: Alex Jaffe writes that Rand Paul is lashing out at the GOP field's leaders. RUBIO: From the Washington Post: "Republican activists — including many who appreciate Rubio’s formidable political gifts and view him as the party’s best hope for beating Democratic presidential front-runner Hillary Clinton — say they are alarmed at his seeming disdain for the day-to-day grind of retail politics. Even some staunch supporters are anxious." TRUMP: President Obama told NPR that Trump is playing off of the electorate's anxieties, particularly among "blue-collar men." Trump said on the TODAY Show that he wants an apology from Hillary Clinton after the Democrat said that he was "becoming ISIS's best recruiter." And on Meet the Press yesterday, he said Jeb Bush was an "embarrassment" to his family. NBC's Ali Vitali reports on Trump's statement that "I haven't seen that" Vladimir Putin is responsible for the deaths of journalists. From the AP: "The political novice's use of corporate resources — his own and others — is just one more campaign tool. But it has drawn the attention of federal regulators, as well as campaign-law experts who say some of what he's doing could be illegal." And here’s Morning Consult on why Trump is performing better in online polls. From the New York Times: "As congressional leaders were hastily braiding together a tax and spending bill of more than 2,000 pages, lobbyists swooped in to add 54 words that temporarily preserved a loophole sought by the hotel, restaurant and gambling industries, along with billionaire Wall Street investors, that allowed them to put real estate in trusts and avoid taxes." Good perspective from the Washington Post, dateline Brussels: "The recent terrorist attacks in Paris have brought into sharper focus the rise of a new breed of jihadists, one that blurs the line between organized crime and Islamist extremism, using skills honed in lawbreaking in the service of violent radicalism." *** Monday’s “Andrea Mitchell Reports” line-up: Sen. Bernie Sanders presidential campaign manager Jeff Weaver, NPR’s Steve Inskeep on his interview with Pres. Obama, the Washington Post’s Chris Cillizza, the Boston Globe’s Shira Center, plus NBC’s Katy Tur and Pete Williams.